We believe the Bible is the inspired Word of God and is profitable for doctrine, reproof, correction and training in righteousness (2 Timothy 3:16). We also think all Christ followers should spend time reading the scriptures every day. 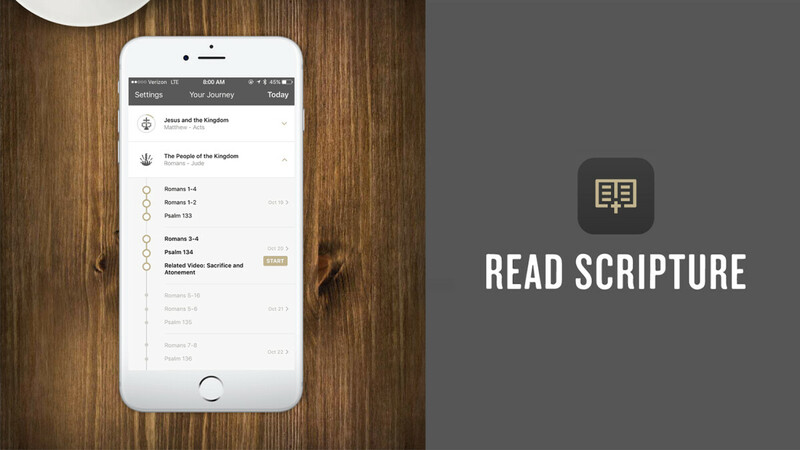 In 2018, many of us at Crossroads are using the Read Scripture app as a tool for our daily reading. This app is available in the Apple App Store or on Google Play. Visit the Read Scripture website for more information. Click here for a sample from the Read Scripture app. We encourage you to join the Crossroads family in reading the scriptures daily. You can use the Read Scripture app or you can use your personal Bible and follow the reading plan shown below.